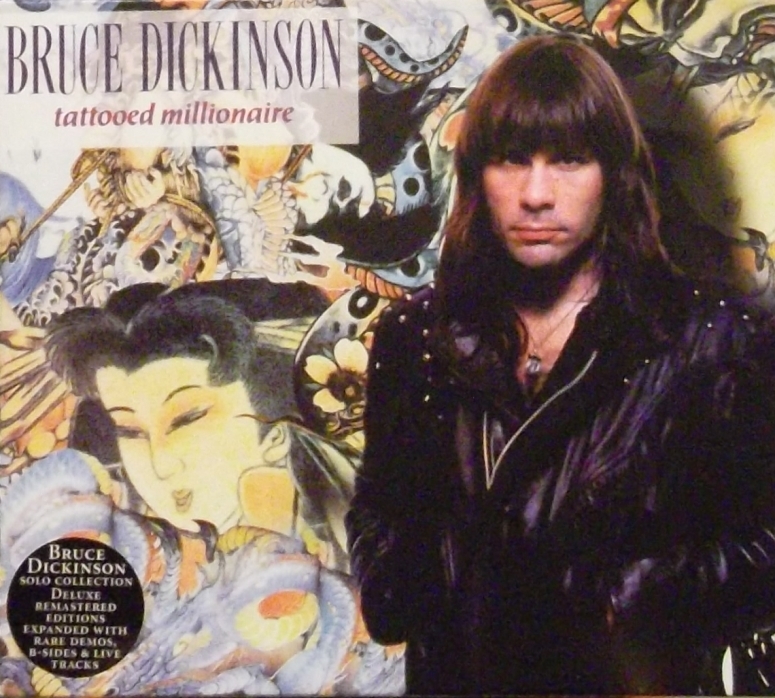 You can’t talk about this part of Maiden’s history without talking about Tattooed Millionaire. Part 14 of my series of Iron Maiden reviews! 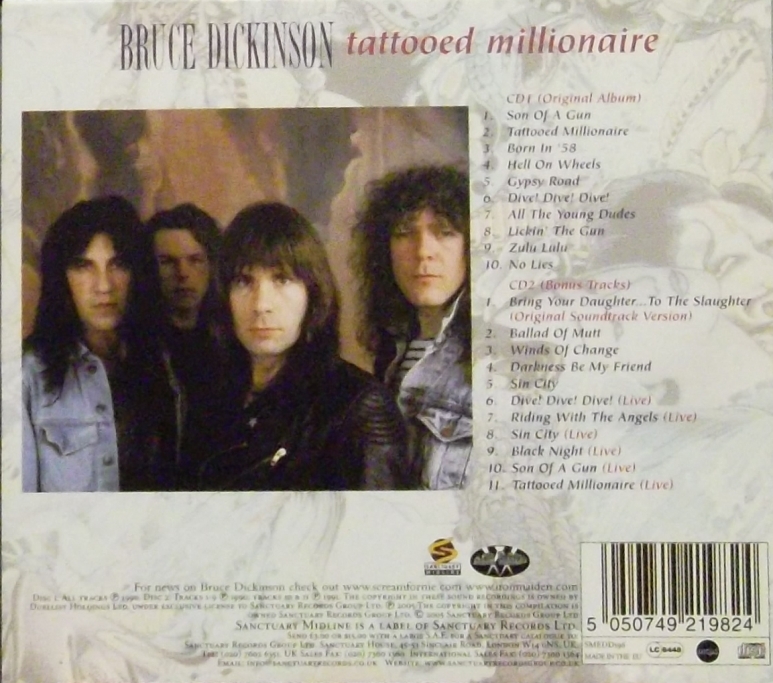 If Tattooed Millionaire had not happened, neither would so many things in Maiden’s history: No #1 single (“Bring Your Daughter…to the Slaughter), Janick Gers might never have joined the band, and so on. And an album there was, and what a fine album indeed! Bruce made no bones about it: This is not a heavy metal album like Maiden. This is a hard rock album, along the lines of his influences: Deep Purple, AC/DC, Mott the Hoople, and more. What was surprising even to me at time was just how good it was. 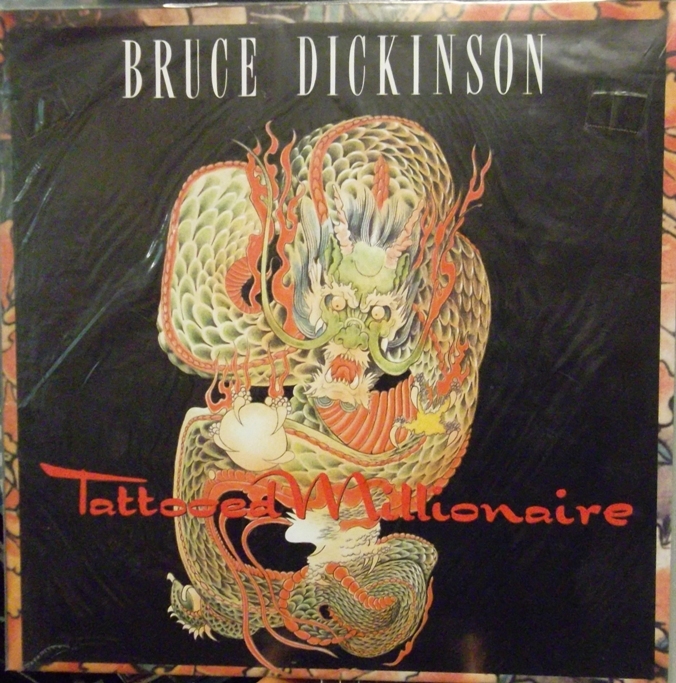 The first single, “Tattooed Millionaire” was catchy as hell while still sounding very British and uncompromising. Vocally, the song and album combines Bruce’s classic soaring voice, with his newer style of spitting out the words in a furious assault. The combination is effective; Just listen to “Hell On Wheels”. While innuendo-loaded verses are spat out, the chorus soars in a singalong fashion. “Dive! Dive! 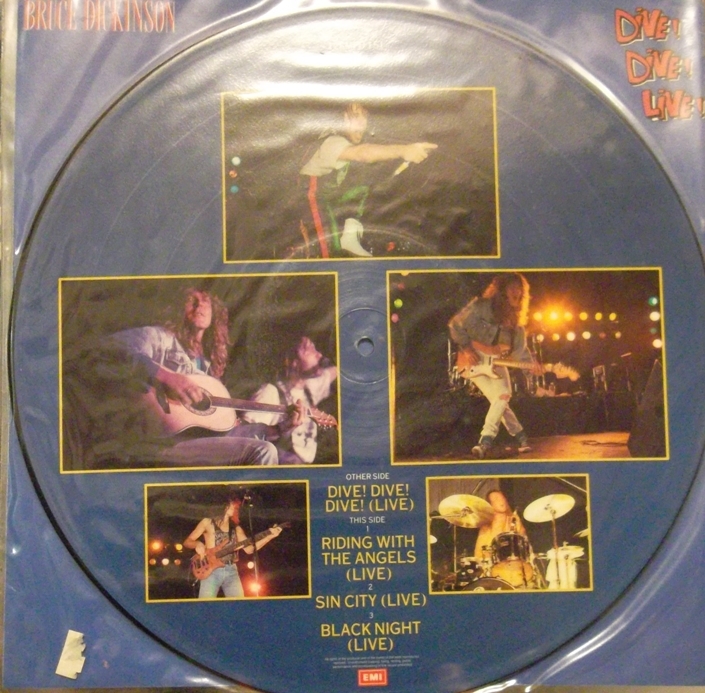 Dive!” and “Lickin’ the Gun” tackle similar lyrical territory. But it’s not all sexual innuendo. Bruce tackles more philosophical topics on songs such as “Born in ’58” (a great single), “Son of a Gun”, and “Gypsy Road”. Meanwhile, “Tattooed Millionaire” pokes fun at the rockers of the L.A. scene, loaded with cash but not too much in the way of brains. fix your nose or the mess you’re in. Some speculated that this was aimed at former tourmates, Guns N’ Roses. I believe Bruce later said the inspiration was Motley Crue! 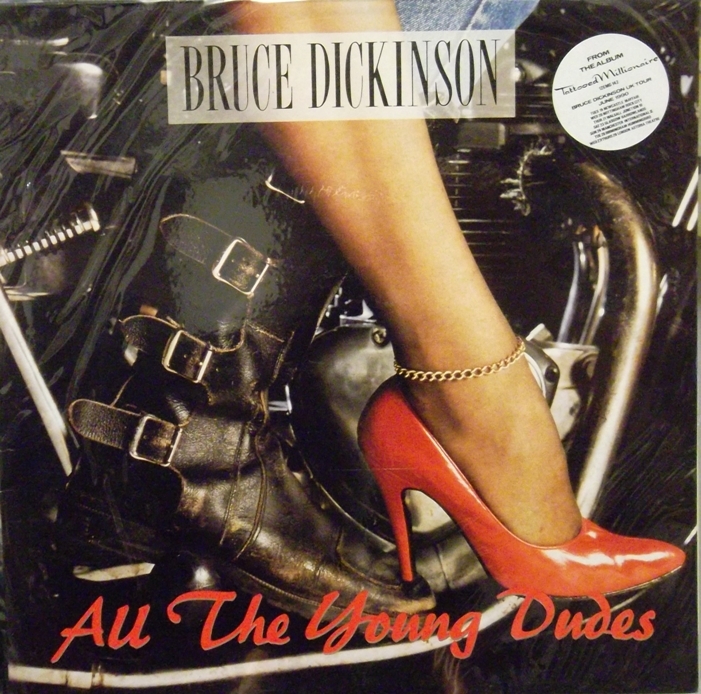 Bruce admitted that doing a cover song for a single was “cheating”, but “All the Young Dudes” was a great choice to cover. Fear not; Bruce does it justice. Bruce kicks it in the head. Gers’ guitar work is perfect for the song, and it’s good to have a chance to hear him play a more laid-back style, unlike his usual work. The album spawned plenty of singles, each with their own B-sides worth collecting. But luckily, the fine folks at Sanctuary put all of this stuff together, along with “Bring Your Daughter”, on a tasty bonus disc. The bonus disc includes some acoustic music (“Winds of Change”, “Darkness Be My Friend”, and the joke song “Ballad of Mutt”). 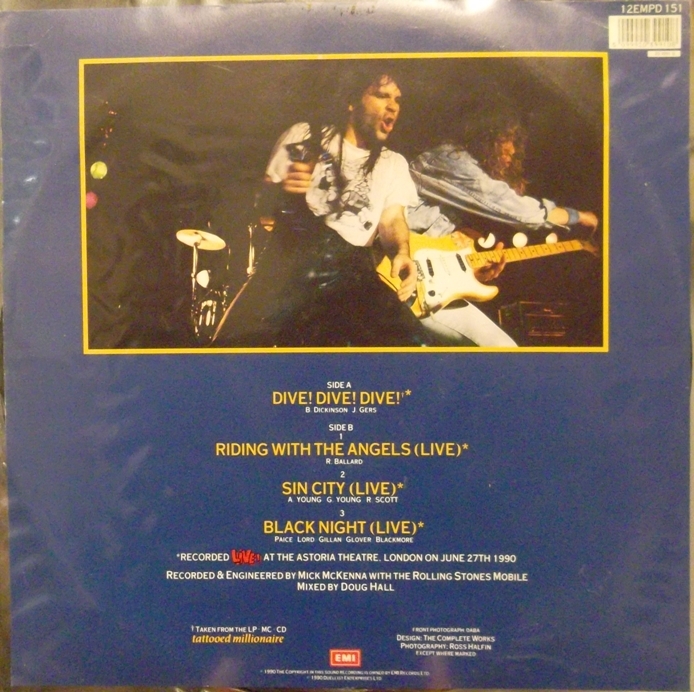 It also has some kickass live covers: Deep Purple’s “Black Night” and “Sin City” by AC/DC among them. 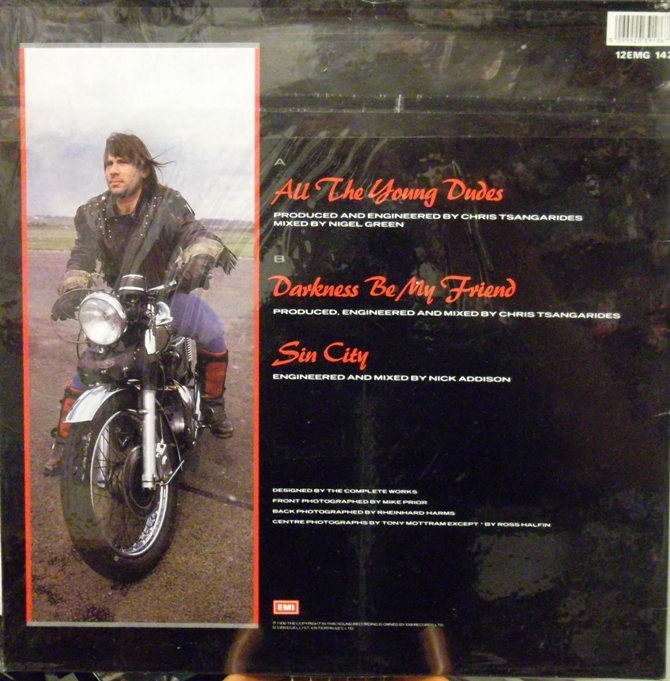 Bonus — there’s also a studio version of “Sin City”, and some live versions of the album’s hits. Absolutely essential: “Son of a Gun”, “Tattooed Millionaire”, “Born in ’58”. 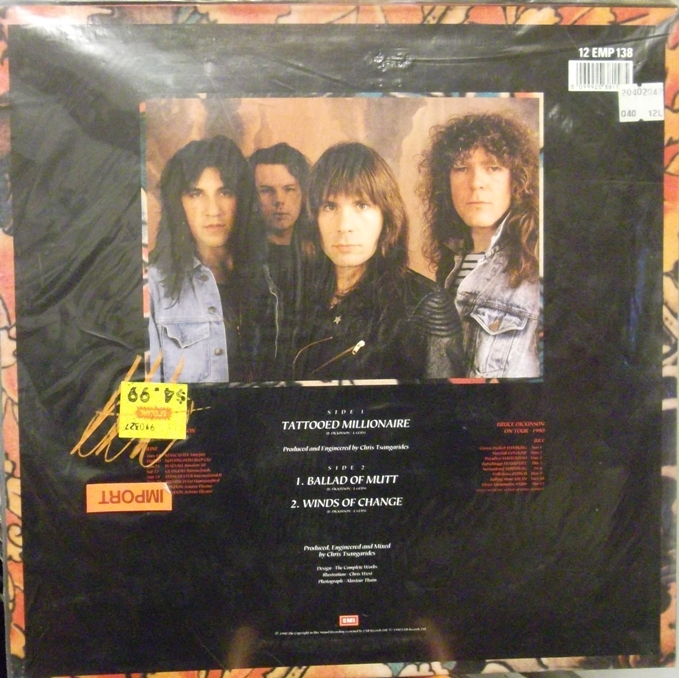 For sure a stand up record….I was pumped when this came out and was rest assured he said he wasn’t quitting Maiden (yet) at the time,but I remember reading that as far as rumours go that Micheal Kiske was gonna replace him if Bruce was to bail….rumours though.. The songs were solid much better than ASAP were and man it kept me happy til No Prayer..came out but than…….. The vid filmed in LA for this tour in the bar is awesome….Gers is Bonkers and in overdrive,what showmanship in front of a couple of hundred people….so when I heard that he replaced Smith no worries right? Great start on a good run of solo discs from Bruce D…. Hey Deke, glad you love that vid too. I think it’s a fantastic show. I can’t help wondering what Americans and Canadians thought of “Fog on the Tyne” though? Great to cover this as part of the Maiden story. It’s a great album, certainly better than the Maiden one that followed it. Totally agree with your appraisal of the individual tracks. I saw Bruce on the Balls to Picasso tour and was totally delighted when he pulled out some of this stuff. This really was quite a big commercial success in the UK too…. not sure about everywhere else. I think the writing was on the wall after this. Fog On The Tyne was cool with Gers piping in a bit of vocal…..good stuff…..
As always thank you for your comments. I think I will continue to cover the critical Bruce albums as we go — definitely Accident of Birth since it was the reunion with Adrian and a step towards where they are today! I love that video too. I searched for years to find it on VHS back in the day. Today was the day that Aaron and I went to Toronto on the big excursion. I took a multitude of photos and videos. If all goes well, look for a video blog soon. I don’t want to spoil anything but let’s just say the music store scene has changed a lot! Oh man, what a trip! Woooooooo!!! Alas, I don’t have that one here so I cannot join in your reindeer games, this time out. Cool record. 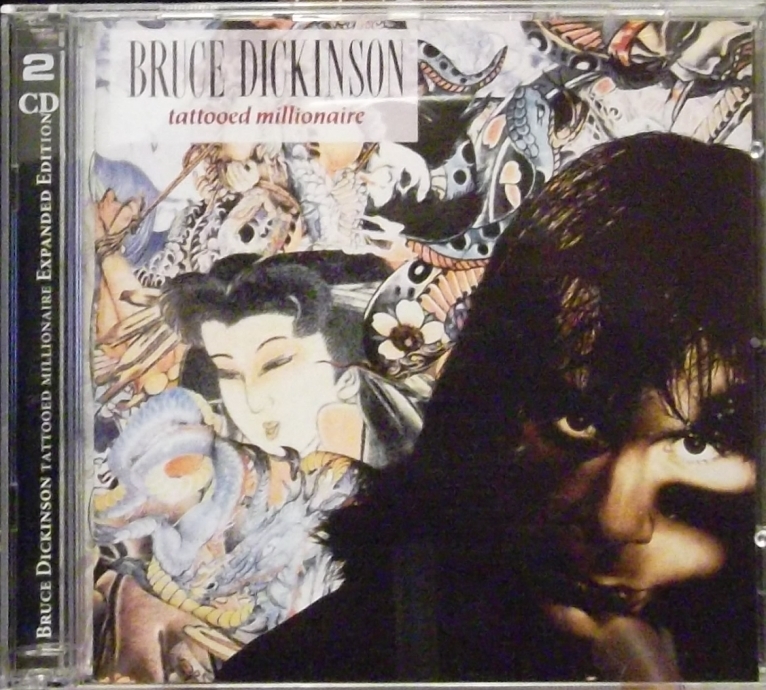 It was a bit strange to hear Bruce sing melodic hard rock instead of metal, but the songs on here are really good. And I’m glad Bring Your Daughter didn’t make this album. It made Iron Maiden’s No Prayer For The Dying, but that album was crap anyway so BYDTTS couldn’t really ruin that album. I heard the same thing about Tattooed Millionaire. If it’s true, I have no proof, but you can tell that Bruce didn’t like that whole Hollywood scene! Not a bad debut solo album though! Yeah, he would have more digs at that crowd in songs like Wasting Love on FotD and even had a bit of a rant about it whilst introducing the song on the subsequent FotD tour (especially at Donington). Just put this album on for the first time in a while… Thanks for reminding me about it! When I’m feeling nostalgic, it takes me right back. I’m especially nostalgic about the last year of highschool, which this was for me. The line about black and white teeeveeeee being up to date always makes me smile.